Most anglers will just pass up this fishing report. Why read it, if you don’t fish it? But to many anglers surprise, Smith Lake, Alabama’s often toughest lake to decipher in the summer season is actually fished by a lot of anglers…that do like Smith Lake! Some anglers live near Smith Lake others live on the lake and visit it daily. Even the locals know, there are going to be times when they too struggle to even get bit! Bass tournament anglers that must visit this lake while fishing such major bass tournament trials as FLW Outdoors or Bassmasters have discovered the same tough fishing conditions no matter what the season or what the conditions. But at times, these professional anglers hit the lake during the right season or under the right conditions and they actually make it look easy to fool the lakes spotted bass and largemouth bass while being filmed on Television. The beginning of summer displayed some very comfortable days with air temperatures in the mid to upper 80′s. Rain each week and constant evening thundershowers kept the lake close to full pool all throughout the month of June. But rest assured its going to get hotter. Last summer the lake was down due to drought and air temperatures were near 105 degrees. This kept most daytime anglers off the lake. Most anglers just resorted to night fishing. Still, for those that braved the heat surprisingly they caught fish! For no matter what the conditions, just like we humans, these bass have got to eat. One thing most anglers know, or they soon discover when first fishing Smith Lake is, its deep! Its not unusual to see depths of over 100 feet deep when just fishing near the bank. Deeper water of 300 feet or deeper also exits and at times you just seem lost on this very deep and intimidating man made impoundment. But just like when fishing any lake always keep in mind, there are catchable bass in shallow water even along the deep banks of Smith Lake. But just how deep should an angler be targeting Smith Lake’s bass this summer season? Most anglers head to Smith Lake thinking deep. That’s good, that’s the right attitude for tackling this lake! Even at night anglers report fooling bass in the deep, dark depths of Smith Lake. Some anglers have reported catching bass (whether day or night fishing) as deep as 100 feet deep! This is very deep water to fool any bass in Alabama. Deep, on most reservoirs found throughout the state is usually shallower than the 40 foot mark! So, do you fish that deep on Smith Lake this summer? No not all the time. Maybe while just experimenting in deep water or when seeking those huge bass that often do live in some very deep water on Smith Lake. But for targeting the majority of Smith Lake’s bass, they can be found in water depths less than 50 feet deep. Some bass may suspend out over deeper water, but they are rarely found hugging the lakes bottom in water 50 feet deep or deeper. * So, yes you should think deep this summer while fishing this lake, but keep it in the 50 foot or less depths or try fishing shallower water that shows baitfish activity or schooling bass. Lures can be cast an allowed to sink to the lakes bottom, vertical jigged right under the boat, fished in mid water depths or fished close to the waters surface. There are times to be fishing each type of lure at different depths. Mornings (at dawn) on Smith Lake shows that both spotted bass and largemouth bass can be very active in the shallows. These bass roam the shallows all night and anglers arriving at dawn are just interrupting their last feeding session, before heading back to deeper water for the day. Cloudy mornings or rain can extend this shallow morning bite. Topwater lures should always be rigged and ready for some early morning surface action. Schooling bass can erupt at any time, so always have lures like zara spooks, zara super spooks, Sammie’s, chuggers, pop-r’s, baby torpedoes, the spittin’ Image and other types of topwaters that simulate the baitfish these bass are feeding on. Main lake points, around islands, along flats, near piers and boathouses and even along deep, rock bluffs are good places for an early morning topwater bite. * Late evenings may show the same action on top as well along rock bluffs, places near deep water these bass hang around during the day. * Covering water fast on Smith Lake may be the best way to find that active school of bass, from dawn until mid mornings, during these hot summer days. Before the sun gets high sending these bass back to deep water. Deep diving crankbaits, suspending and floating model jerkbaits and lipless lures in shad colors are good search lures. Getting a few bites in any spot, may show these active bass suddenly turn off to these lures. But they do not go far. Searching within a 100 yard stretch of bank — either up the lake or down the lake from where you had a few bites — is all it takes to soon activate the school again. Another good search lure on Smith Lake is a jigging spoon. Always bring plenty of jigging spoons (in all weights), for they do hang up and you will lose a few. Try using 1/4 ounce spoons for fishing in water 10-30 feet deep. If fishing deeper you should have some 1/2 ounce to one ounce spoons rigged. Also invest in a good plug retriever or make your own (an old spark plug works good), they will pay for themselves real fast! 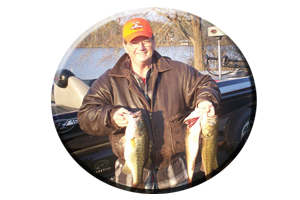 Finesse fishing with small plastic lures utilizing light tackle outfits, has become a very good way to get these Smith Lake bass to bite in clear water when temperatures soar. Small worms, small crayfish imitations, lizards, shad imitations and small creature baits, can be rigged on a weighted jig head, or Texas-rigged and Carolina-rigged. A drop shot rig has the weight on the lakes bottom. The lure is tied about a foot or higher above the weight. A great technique for discovering bass holding up above the lakes bottom. * Colors for lures rigged these ways on Smith lake should be translucent or natural colors. Watermelon with black flack. Pumpkinseed with a dyed chartreuse tail, root beer, cotton candy, smoke glitter, light green, blue or red. Fishing very deep may call for the use of more solid colors of black, brown, purple or dark green. Also try spinnerbaits, shallow-to-mid running crankbaits and always try all sizes of swim baits for targeting Smith Lake’s bigger bass during these daytime excursions. Actually night fishing begins in late evenings. Most anglers launch, when most boaters are leaving the lake for the day. Just before it gets dark, there is about one hour period that these bass may move up to feed. Being in the right place at this time is what it takes to discover these late evening bass. Look for places away from the evening crowds. The further you are from any major boat launch, the better your chances are of discovering that huge school of undisturbed bass. Flats in major creeks or flats along main lake cuts and pockets are good places. Especially if schools of baitfish are evident. As the sun drops low these baitfish begin to surface in schools that can be seen as they dimple the water’s surface or as bass get under them and cause them to panic along the waters surface, they get visible too. water. So be ready for both shallow water bass and those that dwell in deep water at night, with lures like small worms for shallow water or bigger more gaudy worms in deeper water. * You may even have to get your boat in shallow water and then cast your lures to the deeper water dragging your lures up drop-offs, ledges and in deep water cover like rocks, boulders and wood cover. Their are a lot of lures you normally fish during the day, that will work at night as well. Some lures many anglers fail to even try. 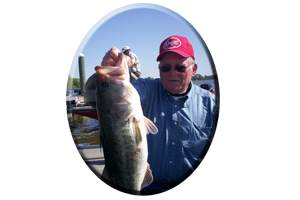 So Smith Lake bass do not get lure-conditioned, if they have not seen as many…like with lures everybody else fishes. * Try dropping heavy spinnerbaits into deep water. Use 1/2 ounce to one ounce, single # 4 to # 6 size Colorado blades in darker colors of black or purple. * Crankbaits work at night just like during the day. Run your deep diving crankbaits along main lake points and try bumping objects or making bottom contact. Wide wobblers featuring internal rattles are best to aid the bass in locating your crankbaits. * Lures like Rattletraps or Cordell Rattlin’ Spots are good at night. Long casts along points, on flats, around rock bluffs and islands are good places for these noisy nighttime lures. * Suspending jerkbaits work at night fished with fast, erratic actions or try to use a sudden “dead stop” for as long as you and the bass can stand it. 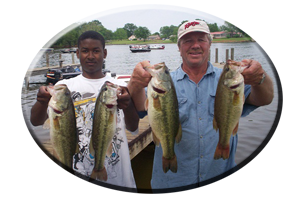 Following bass may hit these lures close to the boat, so always stall the lure before pulling it out of the water. * Topwater lures are good at night. Frogs, rats and buzzbaits fished around any weeds or well lighted areas like piers can be tremendous lures for big bass, especially from midnight until dawn. Also try an old favorite, the “Jitterbug” a waddling topwater lure Smith lake bass cannot resist! * Big worms, oversized lizards, large tube baits, big creature baits, large plastic crayfish and gaudy looking jig combos are at their best on Smith Lake when fished after dark. 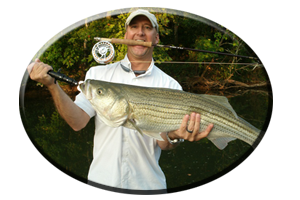 Include scents and add internal rattles, using big sharp hooks and fish these bigger bass lures on 17-20 pound test line. Fish these “big bass meals” around places that are well lighted like marinas, piers, boat houses, around bridges, causeways and the dam area. 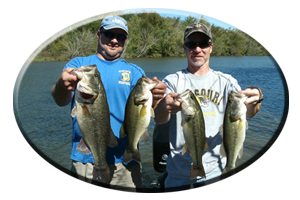 * Looking for help fishing this summer and fall season on Smith Lake day or night? Call on Reeds Guide Service and see how to fish this lake… that often stumps many other anglers. Keep in mind a guided fishing trip with Reeds Guide Service makes a great surprise gift for Birthdays, Fathers Day or Christmas (certificates available), for those loved ones that love to fish.